The George, the pub and restaurant on Chartwell Drive, has helped the UIP in terms of public space management by putting up barriers around their outside area to keep patrons from spilling into the road. 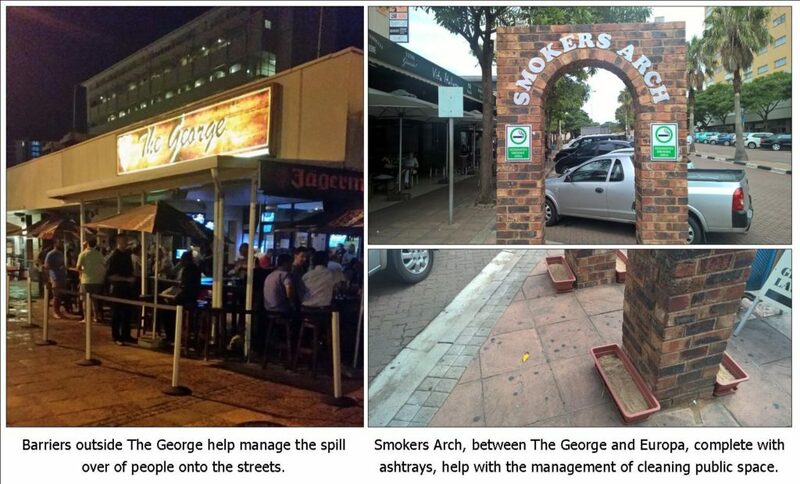 They have also created a dedicated smokers area or Smokers Arch between The George and Europa at the existing brick archway on the pavement. Signage has been installed and ashtrays have been placed at the base of the arch. For the UIP this means less cigarette butts on the pavements and in the road, which helps the team’s cleaning work.